Congratulations to our 2018 IDA Award Recipients! Dr. Richard Wagner, Robert O. Lawton Distinguished Research Professor of Psychology and the W. Russell and Eugenia Morcom Chair at Florida State University, has focused his research on dyslexia and the normal acquisition of reading. He helped to coin the term ‘phonological processing’ with his paper, “The Nature of Phonological Processing and its Causal Relations with Reading,” to describe related work on phonological awareness, phonological memory, and rapid naming that had previously been viewed as three separate domains of research. Most notably, dismayed by the lack of knowledge and tools available to school psychologists and professionals to help with evaluation of children with dyslexia and other learning differences, Dr. Wagner worked to develop the Comprehensive Test of Phonological Processing (CTOPP-2), the Test of Word Reading Efficiency (TOWRE-2), and the Test of Preschool Early Literacy (TOPEL). Dr. Wagner will be presenting his lecture, “Why is it So Difficult to Diagnose Dyslexia and How Can We Do It Better,” Thursday, October 25, 2018, at 8:30 a.m.
Suzanne Carreker joined Lexia Learning in 2015 as Principal Educational Content Lead, where she spearheaded the curriculum design of a ground-breaking reading program for adolescent non-proficient readers. Her career includes 28 years at Neuhaus Education Center, a nonprofit organization offering professional development in evidence-based reading methods to more than 75,000 teachers. 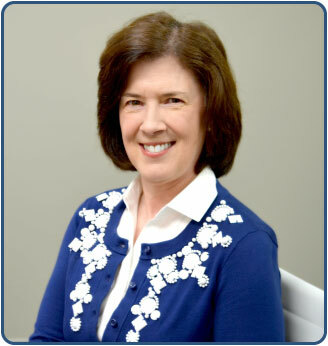 Suzanne served as Senior VP of Innovative Solutions at Neuhaus and just recently completed 10 years of service on the board of the International Dyslexia Association (IDA), where she led the development of IDA’s teacher certification exam. In 2009, Suzanne was the recipient of the HBIDA Nancy LaFevers Community Service Award for her contributions to students with dyslexia and other related learning differences in the Houston community. Currently, Suzanne is co-editing the fourth edition of Multisensory Teaching of Basic Language Skills with Judith Birsh and, in addition, contributing two chapters. She is also contributing a chapter in Fundamentals of Literacy Instruction and Assessment, edited by Marty Hougen and Susan Smartt. Simon E. Fisher is a director of the Max Planck Institute for Psycholinguistics and Professor of Language and Genetics at the Donders Institute for Brain, Cognition and Behaviour, in Nijmegen, the Netherlands. He obtained a Natural Sciences degree at Cambridge University, followed by a doctorate in Human Genetics at Oxford University, UK. For his postdoctoral work at the Wellcome Trust Centre for Human Genetics (WTCHG) in Oxford, Simon pioneered molecular genetic analyses of speech, language and reading skills. During this time he was co-discoverer of FOXP2, the first gene implicated in speech and language deficits. In 2002, he was awarded with a Royal Society University Research Fellowship to lead his own laboratory at the WTCHG. 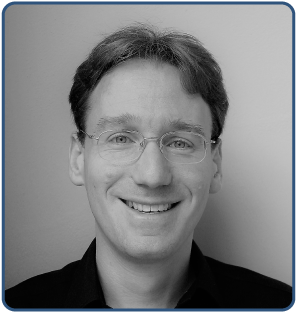 In 2010 Simon was appointed a Scientific Member of the Max Planck Society and became director of the Nijmegen MPI, heading a new department devoted to understanding the functional links between genes, brains and language. He is author of >160 journal articles, 13 book chapters, and has given >140 invited talks at departmental colloquia, international conferences and science festivals. Awards include the Francis Crick Medal and Lecture, and the Eric Kandel Young Neuroscientists Prize. Simon's research adopts a multidisciplinary viewpoint, integrating data from genomics, psychology, neuroscience, developmental biology and evolutionary anthropology. Since starting youth culture magazine “Student” at aged 16, Richard has found entrepreneurial ways to drive positive change in the world. 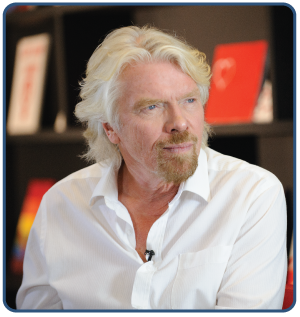 In 2004 Richard established Virgin Unite, the non-profit foundation of the Virgin Group, which unites people and entrepreneurial ideas to create opportunities for a better world. Most of his time is now spent building businesses that will make a positive difference in the world and working with Virgin Unite and organisations it has incubated, such as The Elders, The Carbon War Room, The B Team and Ocean Unite. He also serves on the Global Commission on Drug Policy and supports ocean conservation with the Ocean Elders. Diagnosed with dyslexia, Jared Blank grew up seeing limitations placed upon him. Jared has always used running as his connection to the world. Through running, Jared found his path and learned how to approach obstacles as opportunities. He has earned a Masters in Communication from USC, an M.B.A from Seattle Pacific, and worked 12 years in collegiate athletics, including Director of Football Operations for the University of Washington and the University of Southern California. 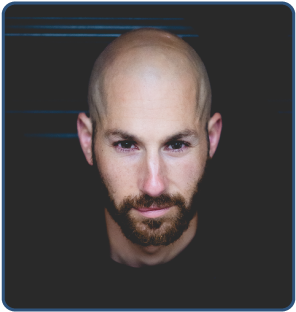 Jared is fortunate to have qualified for, and run the Boston Marathon, earn a top ten finish in the San Francisco Ultra Marathon, and achieve a top five finish in the Runner’s World Grand Slam. He chased and completed his new dream of running the World Marathon Challenge: 7 Marathons on 7 Continents in 7 Days in February 2018. During this challenge, Jared used the international platform to fundraise and raise awareness for dyslexia and the International Dyslexia Association as part of TeamQuest, for which his efforts raised more than $50,000. Jared continues to use his love for running as a platform to tell the world about the challenges of dyslexia and how to get behind a community that continues to support the individual struggle. Ainsley Proctor has been selected as this year’s Remy Johnston Certificate of Merit recipient, which is awarded each year to a young person with dyslexia who serves as a role model for others through perseverance, resilience, excellence, and community contribution. 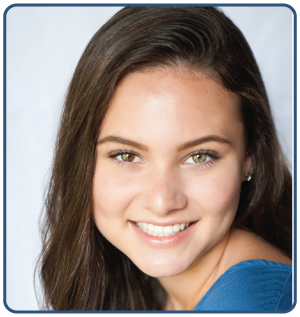 Ainsley was diagnosed with dyslexia at an early age, and through being enrolled by her parents in tutoring with a Wilson and IDA Certified Dyslexia Practitioner, progressed to reading at grade level. Now a 10th grade student, she already has experience in dyslexia advocacy. She has been a Virginia Senate State Page, advocated to her school board for dyslexia awareness in the district’s schools, lobbied the Virginia General Assembly for better dyslexia laws, and is the only student member of the Virginia Beach School Board’s Special Education Advisory Committee. She also attends Decoding Dyslexia meetings and co-taught a half-day seminar with her tutor to help educators better understand and support students with dyslexia. Dr. Peng Peng is currently an Assistant Professor in the Department of Special Education at the University of Texas at Austin. 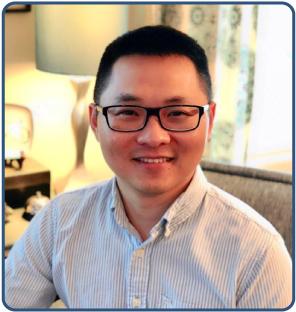 He received his Bachelor degree of Psychology in 2006 and Master’s degree of Educational Psychology in 2009 from Beijing Normal University and received his PhD of Special Education from Vanderbilt University in 2014. Dr. Peng Peng’s research aims to bridge cognitive psychology and special education. He is especially interested in embedding high-level cognitive skills (e.g., executive functions) training into reading instructions for children with severe reading difficulties. Another line of his research is meta-analysis that examines different aspects of reading and mathematics learning across cultures and languages. As the leading author, Dr. Peng Peng’s work has been published in Journal of Learning Disabilities, Psychological Bulletin, Journal of Educational Psychology, Educational Psychology Review, Learning and Individual Differences, Review of Educational Research, and Journal of Experimental Child Psychology. Gordon Sherman, Ph.D., is Executive Director Emeritus and former Executive Director of Newgrange and Laurel Schools and the Robinowitz Education Center. Prior to that, Dr. Sherman was Director of the Dyslexia Research Laboratory at Beth Israel Deaconess Medical Center and was a faculty member in neurology (neuroscience) at Harvard Medical School. 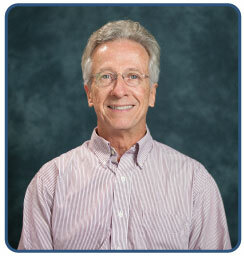 Dr. Sherman received his doctorate in developmental psychology from the University of Connecticut. He is a former president of the International Dyslexia Association, a recipient of two of its most prestigious honors (the Samuel T. Orton Award and the Norman Geschwind Memorial Lecture Award), and has been inducted into the Sylvia O. Richardson Hall of Honor. He also is the author of over eighty scientific articles, reviews, and books. Dr. Sherman is known for playing a key role in groundbreaking research establishing dyslexia’s brain basis, for the visionary leadership he brought to the International Dyslexia Association as its president, for coining the term cerebrodiversity, and for championing the strengths of novel thinkers. 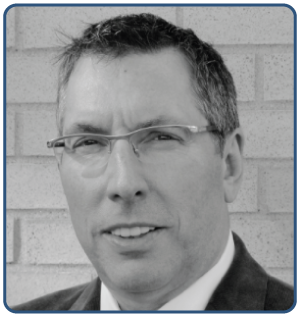 He also is known for his engaging presentations spanning the chasm between research and practice and translating seemingly esoteric findings into inspiring messages for families and educators. Dr. Sherman’s vision, leadership, scholarship, and humanity have touched countless lives.